In his speeches John Bright attacked the privileged position of the landed aristocracy and argued that their selfishness was causing the working class a great deal of suffering. Bright appealed to the working and middle classes to join together in the fight for free trade and cheaper food. In 1843 Bright was elected to represent Durham in the House of Commons. In Parliament he campaigned for the repeal of the Corn Laws. He also supported those Whigs advocating universal suffrage and the secret ballot. However, unlike most Radicals, Bright was opposed to Parliament regulating the hours of factory workers. Bright feared that factory legislation would lower wages and threaten Britain's export trade and as a result voted against the 1844 Factory Act. The failure of the Irish potato crop in 1845 and the mass starvation that followed, forced Sir Robert Peel and his Conservative government to reconsider the wisdom of the Corn Laws. Irish nationalists such as Daniel O'Connell also became involved in the campaign. Peel was gradually won over and in January 1846 a new Corn Law was passed that reduced the duty on oats, barley and wheat to the insignificant sum of one shilling per quarter became law. Bright was now a national hero and he used his high standing to campaign for other progressive causes. As a Quaker Bright was opposed to the aggressive foreign policy of Lord Palmerston. Bright joined with Richard Cobden to campaign against the Crimean War (1854-1856). The two men were much abused by the press and some MPs even accused them of treason. The British public shared the government's enthusiasm for the war and in the 1857 General Election, both Bright and Richard Cobden lost their seats in the House of Commons. However, five months later, he won a by-election in Birmingham. Bright refused to change his view on Britain's foreign policy. He blamed the Indian Mutiny of British misrule and advocated that the Indian people should be allowed to elect their own government. Bright was now one of the leading advocates in the House of Commons for universal suffrage. In a speech made in 1858 he pointed out that only one out of six adult males had the vote in Britain and that less than 200,000 voters regularly returned more than 50% of all MPs. Bright called for an end to all rotten boroughs and the introduction of the secret ballot. Bright was shocked by the outbreak of the American Civil War. As a Quaker he was totally opposed to slavery and was a passionate supporter of Abraham Lincoln. However, his religious views also stopped him for arguing in favour of Britain sending troops to help the Union forces against the Confederacy. In 1865 Lord John Russell, leader of the Liberals in Parliament, became Prime Minister. Russell and William Gladstone, the government's leader of the House of Commons, were both supporters of parliamentary reform and although many Liberals were still opposed to universal suffrage, they were determined to try. Bright toured the country and used his considerable public speaking skills to drum up support for the measure. However Russell's government found it impossible to get the bill passed by the House of Commons. 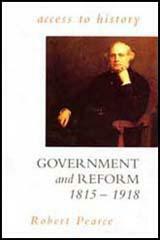 When Russell resigned in 1866 he was replaced by the Earl of Derby and with the support of Benjamin Disraeli the new government managed to pass the 1867 Reform Act. William Gladstone became Prime Minister in 1868 and as he was a great admirer of Bright he appointed him as his President of the Board of Trade. Bright now had the pleasure of seeing the Liberal government pass several measures that he had been advocating for many years. This included opening the universities to Nonconformists, the secret ballot and government funded education. Unfortunately ill-health forced him to retire from the Cabinet in December 1870. The Liberals were in opposition between 1874 and 1880 but after William Gladstone became Prime Minister in 1870, Bright returned to government as Chancellor of the Duchy of Lancaster. Bright objected to the Liberal government's foreign policy and when the British fleet attacked Egypt in 1882, he resigned from the Cabinet. 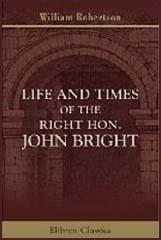 John Bright remained MP for Birmingham until his death on 27th March, 1889. During the period I spent in Birmingham, John Bright was one of the three Members of Parliament for the borough. I frequently heard him in the Birmingham Town Hall. I have heard many prominent speakers in the hall, and in many other places, but never one comparable to John Bright. The plainness of his language, the unaffected simplicity of his illustrations, his power to drive home the points of his speech, in conjunction with the mellifluous vocalization of which he was master, made one feel that it was a great privilege to listen to such oratory, and to observe the orator.